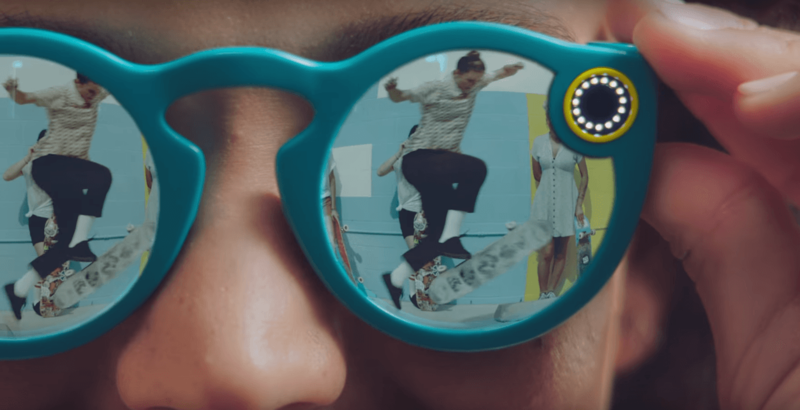 Snapchat Spectacles have finally stopped being a rare treasure. If you’ve wanted to try them out, you can now get them on the online store of Snap Inc. These sunglasses with a built-in camera allow you to shoot videos and record what you see from your point of view. These sunglasses were first announced in fall 2016, but it was fairly difficult to get them. You could only buy them at a special store in New York, or at some of the Snapbots: vending machines which appeared on various locations across the USA. Now it’s far less complicated, and you can earn them online for the price of $129.99. In addition to the New York store and Snapbots, the Snapchat Spectacles were available from resellers, usually at a much higher price. Now you can order them directly from Snap Inc. and pay $129.99 for a pair of sunglasses together with a charging case and a cable. The built-in camera uses 115-degree wide-angle lens to create circular videos and send them to your Snapchat Memories using Wi-Fi connection. The Snapchat Spectacles are available in three colors: coral, black and teal. It takes two to four weeks to get them after you order. Also, the purchase is limited to six pairs per buyer. I’d totally like to play around with these and see what I can get. There are even some tips for making more interesting videos with your Snapchat Spectacles. But considering that I have sat or stepped on my sunglasses at least twenty times, I think I’ll pass after all. What about you?